Road users urged to take a break during long distances to avoid the dangers fatigue brings. Peak traffic on the country’s national roads may occur earlier than usual because of the days on which December and January public holidays fall. The N2, which connects Cape Town with the KwaZulu-Natal North Coast along the eastern seaboard, is in great shape to handle higher traffic volumes during the coming festive season. Vusi Mona, SANRAL communications manager, said road users will be able to travel the entire distance without encountering road works or having to wait for construction activities. “As a result, our engineers have rated the condition of the stretch between Cape Town and Durban as fair-to-good barring any unforeseen major traffic incidents or weather conditions,” said Mona. Road users are encouraged to take a break during long distance journeys to prevent fatigue and lack of concentration. Mona said: “Fatigue is one of the major causes of road crashes, especially when travelling over long distances – road users should #KnowYourWhoa #TakeABreakStayAwake. In addition, all public schools close on December 12, a Wednesday, and open on a Tuesday, a week after January 1. Traffic will begin to pick up in the week of school closures and traffic volumes will become heavy from Friday, 14 December – the beginning of a long weekend as Monday is a public holiday with December 16 falling on a Sunday. It is also when the building industry closes. As Christmas falls on a Tuesday, it can be expected that traffic will start peaking on the Friday before (December 21). The end of the holiday period is also somewhat different: New Year’s Day is on a Tuesday, as is the day public schools re-open on January 8. This may mean peak traffic on the Mondays before. Motorists can visit the SANRAL website, www.nra.co.za for help in planning their journeys. 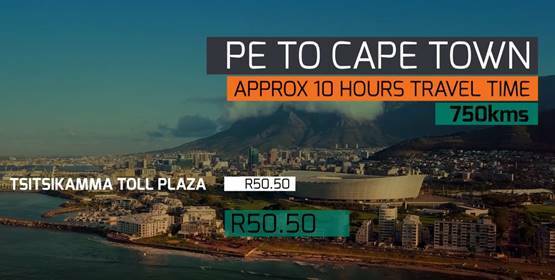 SANRAL has made available a series of videos to help motorists plan their journeys – what route to use, what to expect on the road, the estimated expenditure for tolls and rest spots on the route. Motorists can also download the SANRAL App for the convenience of topping up their e-tag accounts from the comfort of their cars. “The app can be downloaded for free on all Android and iOS devices and also offers users information about road conditions, traffic congestion and incidents on the road enabling motorists to plan their journeys in advance,” explained Mona. Incidents should be reported to either the South African Police Services (10111) or the National Traffic Call Centre (NTCC) on 012 665 6075.